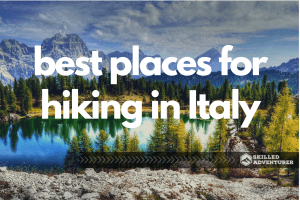 Hiking offers the outdoor adventurer a great many potential rewards of which most of us are aware: glorious scenery, a true examination of our mental and physical mettle, and a chance to form strong relationships while exploring some of the world’s most aesthetically captivating locations. Not so many of us know that when hiking we can also derive a high number and huge variety of health benefits. Bonus, right?! For me personally, the combination of fun, adventure and healthy exercise for body and brain have made me something of a hiking fanatic. It has also instilled in me a desire to inspire as many others as possible to get out there and reap the same rewards. 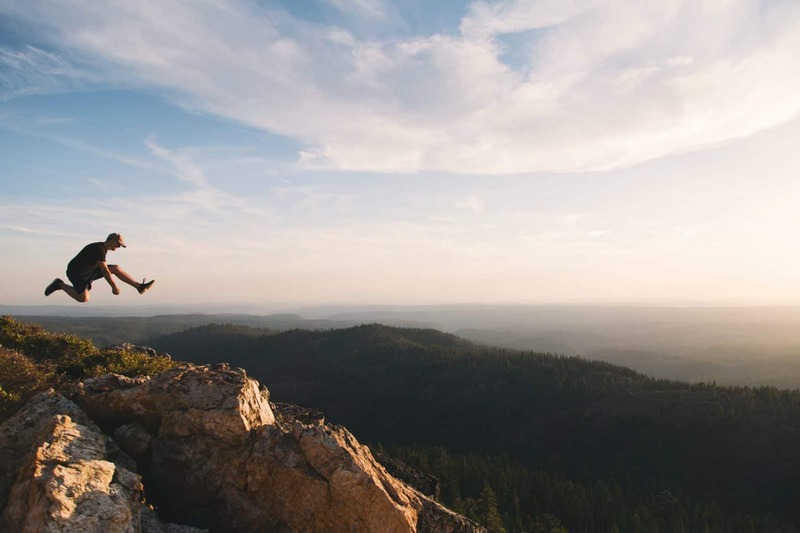 Just in case you need more convincing, here’s our list of twelve health benefits of hiking you probably didn’t know about. A recent study from John Hopkins University demonstrated the link between reduced risk of heart disease and stroke and time spent exercising in the outdoors. The study discovered a synergistic relationship between exercise and Vitamin D levels which means that the more exercise you do, the higher your Vitamin D levels, and the higher your vitamin D levels, the lower your risk of heart disease or stroke. Because we already soak up Vitamin D from sunlight, the exercise-and-sunlight combo enjoyed while hiking is pretty much the ideal way to keep your heart and arteries happy and healthy. But how much hiking do we need to do to enjoy these benefits? The American Heart Association states that we need only 75 minutes of rigorous physical activity and 150 minutes of moderate activity per week to ensure a healthier heart and less chance of having a stroke. One, three-hour hike per week, then, is enough to do the trick! Hiking provides one of the most powerful, sustained cardio workouts you can get. Unless you’re out running marathons or cycling hundreds of miles at a time. There are few better ways to give your heart, lungs and arteries a good bit of conditioning and a health boost than getting your hike on. A study by the Center for Disease Control reported that walking briskly for just 150 minutes per week significantly improved participants’ cardio-respiratory efficiency by increasing the heart and lungs’ ability to pump blood, oxygen and nutrients throughout the body. As you get used to this regular exercise, moreover, your body becomes better able to withstand cardiovascular stress. 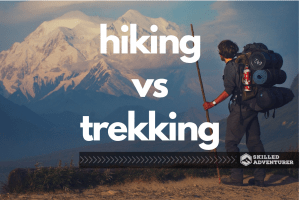 This, in turn, allows you to hike for longer periods and gain even more fitness – hiking, the research reveals, is a game of increasing returns! A bad diet and being overweight can increase our risk of many illnesses and health conditions, most notably, high blood pressure and Type 2 Diabetes. For most of us losing weight feels like a chore and a Sisyphean task that borders on mind-numbingly boring. Treadmills, rowing machines, and even jogging usually lose their appeal a short while into our gym membership or new year’s resolutions. Trying to keep things interesting becomes a huge challenge in itself. There is a trick to getting in the regular exercise that will help you lose weight and reduce your risk of suffering health-wise. This requires making your exercise as enjoyable as possible and doing it in a way that includes more benefits beyond the purely physical. These benefits could include, those of a visual, auditory, and social and nature… exactly the type of ‘bonus benefits’ you can find out on the trail. The greatest news for hikers and reluctant gym-goers is that running or shutting yourself away in a sweaty room for a few hours per week isn’t necessary. Hiking can be more effective in reducing the risk of high blood pressure and Type 2 Diabetes. Researchers at Lawrence Berkeley National Laboratory analyzed over 30,000 runners and over 15,000 walkers. Their research showed that the same energy used for moderate-intensity walking and vigorous-intensity running resulted in similar reductions in risk for high blood pressure, high cholesterol, diabetes, and coronary heart disease over the study’s six-year duration. Even for those of us with a healthy diet, a lack of exercise can increase the chance of succumbing to high cholesterol and triglycerides. Both of which can result in conditions such as heart disease, high blood pressure and diabetes. Moderate-intensity aerobic exercise such as hiking is essential to regulating cholesterol and triglycerides. When done consistently, it helps to increase our bodies’ levels of HDL (the good cholesterol!) and lower those of triglycerides and LDL (the bad cholesterol!). According to Henry N. Ginsberg, M.D., of Columbia University Medical Center, exercising for as little as thirty minutes three or four times per week would almost half the problem of high triglycerides. And by losing 5 to 10 percent of our body weight (an easy task when hiking, as we reveal in number 10 of our list!) we can reduce our triglycerides by up to 20 percent. Hiking can reduce both your risk of getting cancer and the risk of recurrence in those who have already experienced some form of cancer. In the UK, the Chief Medical Officer used that magic number (150 minutes per week) as a guideline for the hiking-time required to reduce our risk of getting cancer or minimizing the risk of the disease recurring. This claim was reiterated by UK-based foundation Macmillan Cancer Support. They claim that people with two of the most commons forms of cancer – prostate and breast cancer – can cut their risk of dying from the disease by as much as 40% simply by walking for a mile a day. For bowel cancer patients, undertaking about six hours a week of moderate intensity exercise can reduce the risk of dying from the disease by up to 50%. Bone density in our bodies develops in childhood, levels off in adulthood and then reduces in our senior years. Lack of stimulation leads to decreased density and an inevitable decline of bone flexibility and health in older age. There is no need to be quite so fatalistic about it as all that, as long as you’re willing to get out there and get in some hiking! The three big ‘musts’ for maintaining healthy bones are calcium, vitamin D and physical activity. Luckily, the latter two of this trio go hand-in-hand with hiking and the first can be easily added with a glass of milk on your return! The National Osteoporosis Foundation states that “Bone is living tissue that responds to exercise by becoming stronger”. Thus, by constantly upping the intensity of your hikes, you increase the chances of reaping significant benefit in the bone department. Additionally, the more ascent and descent you do on a hike, the more force is applied to your bones and the more they respond by strengthening. Hiking also improves bone health by strengthening the muscles around the bone. Particularly in areas that don’t see a lot of exercise in our day-to-day lives such as the knees, ankles, and hips. Load-bearing (even a light pack will do the trick) and hiking on uneven trails fortifies the bones. By placing them under increased (but healthy) strain as they work to support the new range of movement. When hiking, the muscles in our body are used repeatedly over a long period of time, in particular the leg muscles, glutes, hip muscles and the smaller muscles around our ankles and knees. Hiking is a low-intensity form of exercise. But given that your hike could last for anything from one to fifteen hours (depending on your stamina levels, objectives and how good you are with a map and compass(! )), these muscles are consistently engaged. As such, they build up far more strength and endurance than when doing other sports where the muscular exertion is not quite so sustained. Furthermore, when moving on steep inclines and declines, the terrain exposes us to a new range of dynamic, ‘concentric’ and ‘eccentric’ movements. These challenge our bodies and muscles in ways that are hard to replicate elsewhere and help to give us a true, full-body workout. One of the primary changes I noticed when I began hiking regularly was the appearance of a six-pack. Although I knew hiking would burn some extra calories and help me shed a few unnecessary pounds. I didn’t actually expect to see any core muscles. Hiking engages the muscles in the torso to keep your posture upright while you trek. If you are hiking with extra weights or a backpack, your abdominal muscles are working even harder. I enjoy backpacking, but I can attest to the abdominal workout with a bag. Even If you are only hiking easy trails, you will be surprised at the new tone of your abs. When I first began hiking 10 years ago, my balance was horrible. I would trip over roots, fall off rocks, and end up with scratches every time I went out. Through practice, I began to master the balance aspect of hiking. It took a long time and a few turned ankles before I could cross a stream by an overturned tree. On the way I learned hiking on uneven surfaces helps you master your balance skills. An added bonus was this improved balance helped me in other areas of my life, including my posture. As someone with an aging mother, I know the importance of balance for the elderly. According to Health in Aging, 1 in 3 adults 65 and older experience balance-related falls. In seniors 75 and above, the rate increases to 1 in 2. Loss of balance is a major reason for falls, so engaging in activities that improve balance is a must. Today, obesity is a major contributing factor to mortal diseases such as heart attack and stroke. If you are looking to maintain a healthy weight or lose weight, hiking is a great activity for controlling your weight. 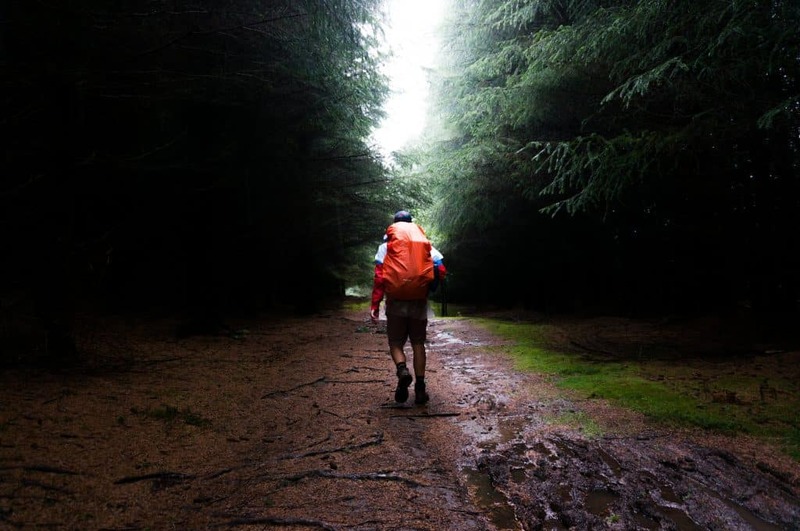 Livestrong reports, “a 160-lb person burns between 430 and 440 calories per hour of hiking. A 200-lb person burns approximately 550 calories per hour of hiking”. As in any activity, the bigger you are, the greater the number of calories you will burn. If you cannot hike yet, even going outside for a walk will burn about 100 calories. Whenever I am stressed, I try to get out of the city for a weekend away in nature. I have found hiking to be helpful in reducing my levels of anxiety. This isn’t the only mental health benefit. Research has shown hiking reduces depression and improves mental health. While doing a physical activity like hiking, your body releases endorphins. Endorphins are hormones in the brain responsible for your feelings of happiness. Whether it’s the reduction in stress, hormones, or tired muscles, hiking gives those that embrace it sweet dreams! It seems there is nothing hiking doesn’t do to boost your mood! Hiking has also correlated with improved attention span and problem-solving skills. If you are still resistant, try hiking as a fun social activity. I have met some of my best friends through hiking events on meetup.com, and every time I move to a new place I check out the local groups. Last but not least, the final health benefit hiking provides is your daily intake of vitamin D.
Vitamin D is important for those that experience issues such as seasonal affective disorder, and depression. Making sure you get enough D should be a priority for everyone in the north because according to NAMI there are upwards of 3 million reports of SAD per year. To increase your vitamin D without taking supplements, it is necessary to expose yourself to the sunshine. So bundle up, get outside, and take a hike! If you find you are snowed in and can’t get to your favorite spot, take a hike around your neighborhood! I hope you enjoyed my guide to the 12 health benefits of hiking you probably didn’t know about. Hiking a not just a fun outdoor activity, the added health benefits make it a great workout as well. 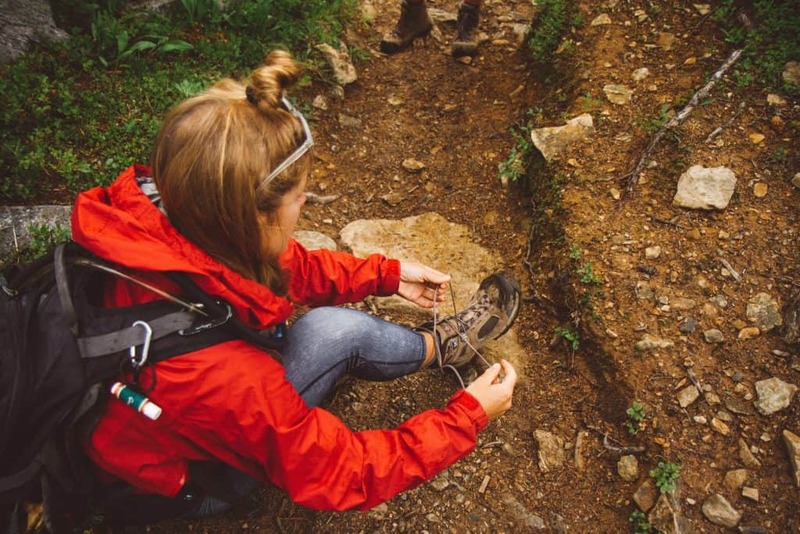 As a fellow hiker, I know from experience your time hiking will pay now and in the future. It may be hard to get motivated sometimes, think about all the benefits you will gain on your new adventure. What are the reasons you hike? Let me know in comments! If you liked this article, don’t forget to share it! 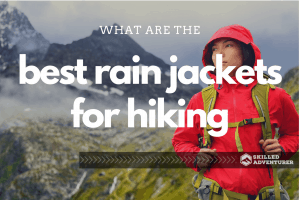 What are the Best Rain Jackets for Hiking and Backpacking? Firstly, I would like to say what a super article; extremely thorough and informative. As keen hikers, my wife and I are constantly telling people about the wonderful benefits that hiking offers – physical, social and mental. We know precisely how good that we feel when we hit the trails and get the limbs moving! I am always amazed at just how clear my mind becomes when I am out striding through nature; it’s a clarity that I hardly ever experience when sitting in my day to day job. I have never been so physically toned and have never had so much stamina as I do today. I am now 44 years old and I feel way better than I did 10 years ago, long before I took up hiking seriously. If you want to get in shape both physically and mentally, get those boots on and get out there. You will thank yourself that you did!